Many people ask me about the world's smallest dog care. Maybe they're very worried because these dogs especially for puppies who are still aged 2 monthly is very small in size. Typically, to answer this question I just answered: â € œ The importance given to eat and don't step on â € œ. Maybe, people think if I answer this question with humor or answer only lightly. Chihuahua Puppies usually often runs between our legs, and also often accidentally stepped on or kick by us. 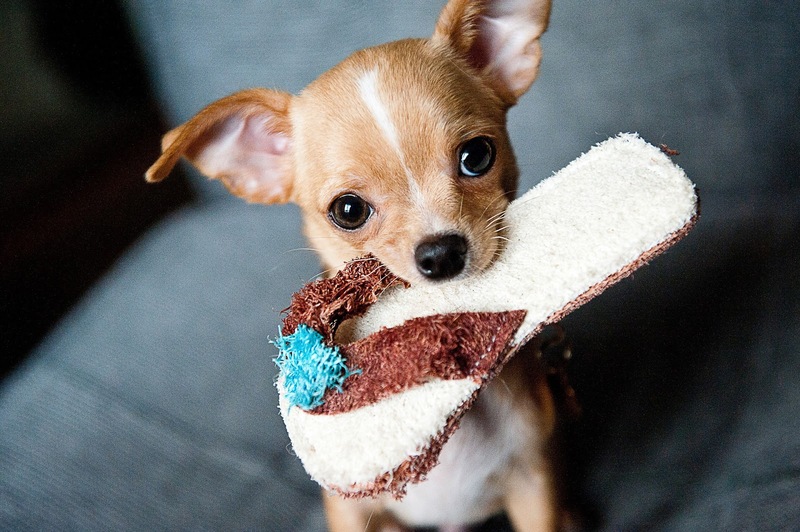 The following brief tips to take care of Chihuahua. Caring for Puppies aged 2 months â € "1 year. The feeding was done 4 times a day, because the digestive system has a Chihuahua that small shouldn't be fed too much. For example a portion to eat per day 50 grams dried dog food, don't given in 2 meals (25 grams) would be better if the food portions are given in 4 times (12.5 grams). Dry dog food should dilunakkan up to 3 months. The feeding of 4 times per day until 6 months after it is enough 2 times per day. Chihuahua under 1 year should not too fat to keep the growth of bones were not interrupted. It's good if the Chihuahua is not kept in cages. Enough to provide a safe place for him to play. The room is not air-conditioned need because this dog is not strong with the cold weather. Better still if kept in a room that is exposed to sunlight. Drying out the absolute daily to do if a dog kept in stables or in room (indoor). Dogs that are kept open page will choose their own time to soak up the Sun, do not be surprised if they soak up the Sun in the daytime but if according to the vet (mostly) good for drying time is approximately 7 hours â € "8 am. Naturally, Sun to dry the dog's fur to keep it moist. A dog that likes to Sun will usually be stronger than attack the skin disease. History of the Chihuahua may bathe. For Chihuahua kept indoors can be bathed fastest 3 months. To the outside of the room (pool) should preferably be fastest 1 month. Indeed, you will be distracted by smells if rarely bathed but their fur will be healthier because of their skin not dry because the oil produced by the skin coating to protect the fur is not removed by detergent. To cope with the smell you can bathe in a way to dry using a dry shampoo that is widely sold in the pet shop or can also use baby powder. Powder sprinkled all over the body and then using a brush comb (could use a shoe Polish brush) comb from the direction of the head toward the tail until the powder fell along with fur die and other impurities. Select food (dog food) the small A6 kible easily chewed by Chihuahua. Maximum protein for Chihuahua is 28%. If you have been given a quality dog food, the addition of vitamins or other supplements are not necessary. 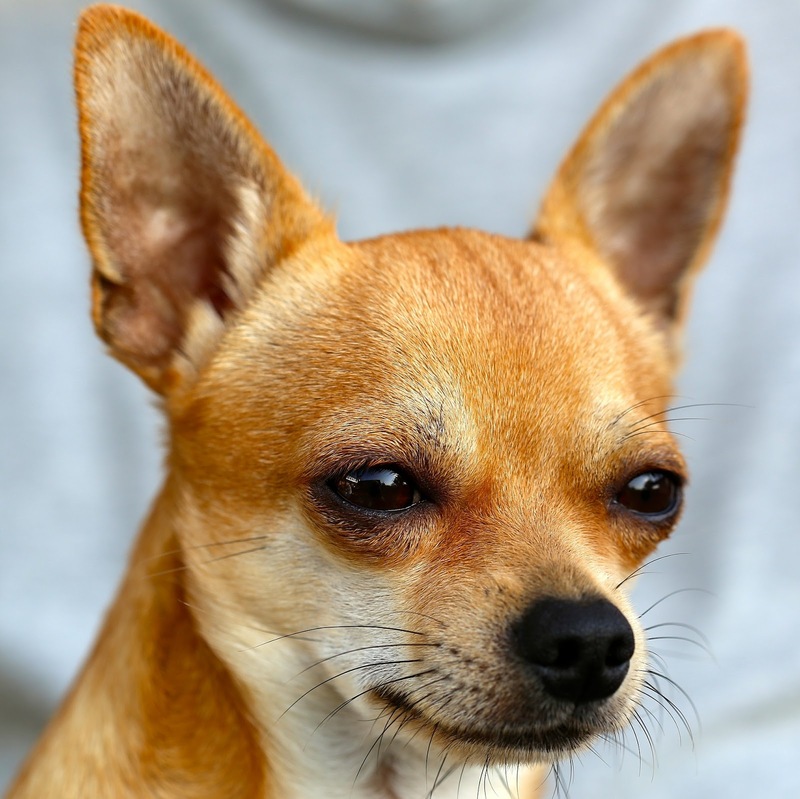 Despite being kept in a room that is quite extensive, Chihuahua needs to be given exercise (exercise) which is quite outside the home. In addition to forming a nice body, exercise outside the home (highways) can also shape the character of Chihuahua from being shy. Exercises can be started at the age of 3 months, or if the vaksinasinya is done. For chicks, it's not too loud enough the streets around 200-300 metres. For adult dogs (1 year) exercises can be given more (1 â € "5 KM). The addition of distance or time drills should gradually. For example for the first month enough 1 KM only, monthly increases of 1 KM until the limit of maximum 5 km. Give time off about 5 minutes on each kilo meters. A pregnant Chihuahua care and breastfeeding. 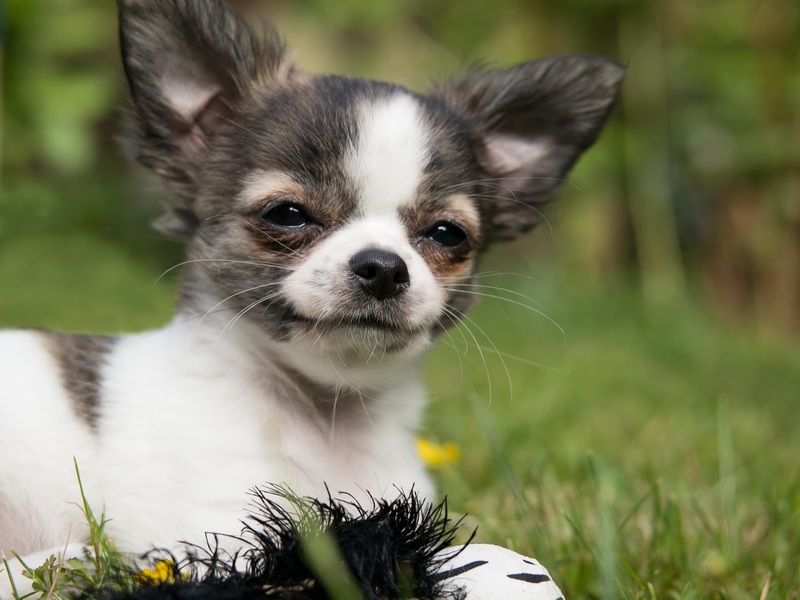 Chihuahua who is pregnant should not need to be given additional supplements such as vitamins or calcium if the appetite is good and quality dog foodnya is also good. 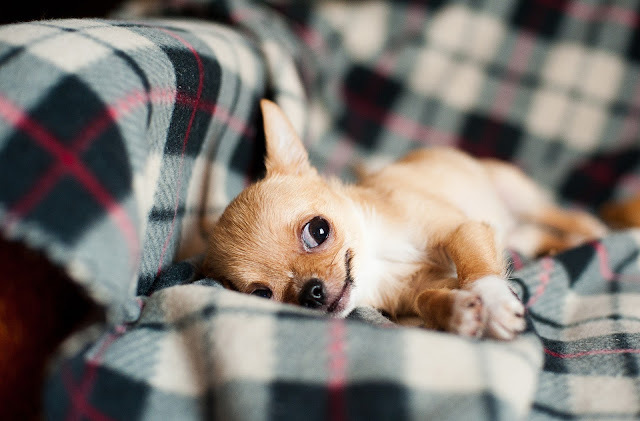 If the Chihuahua is not good appetite should've been fed dog food that is already dilunakan by using warm water. 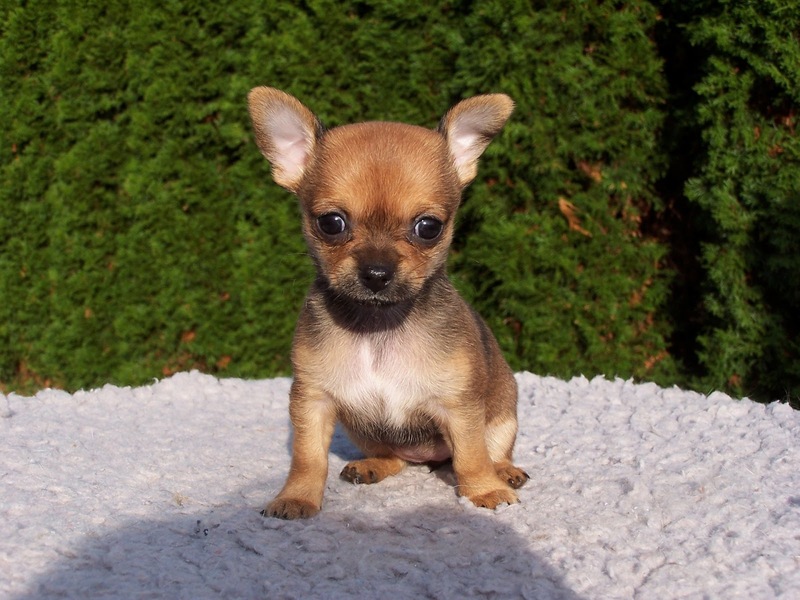 Pregnant Chihuahua if given the extra vitamins would cause the size of the fetus to be great so it will be hard to bear. For a Chihuahua that breastfeeding can be added vitamins or calsium. Chihuahua who are breastfeeding are in dire need of additional vitamins and water production so that her milk calsium can run smoothly. If appetite is still less good or less appetite with regular dog food provided you can give other foods such as meat/liver with rice. Add a little salt so that the dog is always thirsty so it will be a lot of drinking. Dogs who are breastfeeding must be drinking lots of milk production in order to smoothly. Belum ada Komentar untuk "Tips On Keeping The Chihuahua"